After years of stating Chemotherapy is the only tool they have, as the tide of social media evidence grows, so much progress has been made proving that cannabis now works. British company, GW Pharmaceuticals, has been a big name in cannabis pharmaceuticals since 1998. They’ve broken through the iron gates surrounding cannabis medicine, so much so that they even got CBD-extract medications (made by Big Pharma) to be removed from Schedule I.
GW Pharma has developed cannabis-based drugs for multiple sclerosis and epilepsy, and now….cancer. That’s right. Big Pharma now holds the patent for cancer treatment using cannabis. Only now they are able to profit, do they admit to it working. Have in mind that all products are synthesized chemically in order to patent this product. They are not using the full spectrum of the plant and its a lower dose to what has been working. Big Pharma does not mention the best ways to apply this oil rectally and leaves so much information out of their data. In 2009, GW went forward with a patent application, alongside collaborator Otsuka Pharmaceutical. At the end of September, GW announced that they had received a Notice of Allowance from the U.S. Patent Office to go forward with production of their cannabis-based cancer treatment, Sativex, which is a chemically enhanced spray with little of the compounding ingredient required for healing. Numerous studies have shown that cannabis can be used to treat cancer by eradicating cancer cells and stopping metastasis, in most types of cancer. The latest GW drug will harness the power of THC and CBD to treat gliomas, which are a rare form of brain cancer. The now-patented pharmaceutical uses a ratio of THC and CBD ranging from 1:1 to 1:20 (THC:CBD) to “reduce cell viability, inhibit cell growth or reduce tumor volume”, according to the company. It is interesting to note that GW’s treatment, Sativex, grew out of a long history of pre-clinical trials and anecdotal evidence that show the use of cannabis and cannabis-based products for tumor reduction. The company went ahead with clinical trials in August 2018 to test the efficacy of Sativex. This trial will look at efficacy of Sativex when combined with more traditional mainstream cancer treatments. 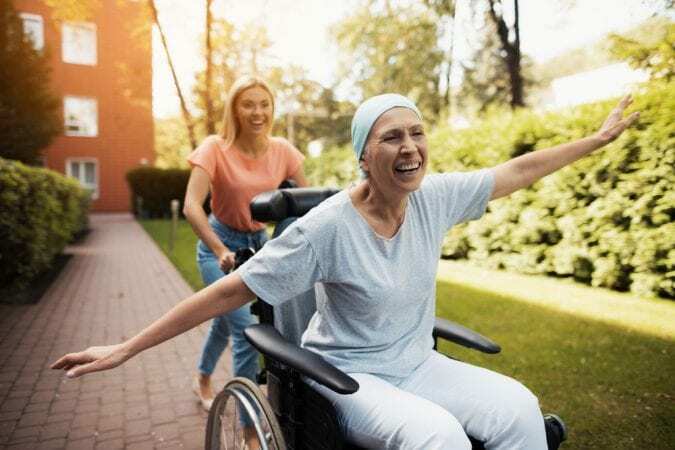 Sativex and the chemotherapy drug, temozolomide, has been administered to 20 patients with recurrent glioblastoma multiforme (GBM). This is a rare and very deadly type of brain cancer. The original patent application was sent in 2009, but has been subsequently changed to accommodate FDA requirements. Changes would include specifics like THC and CBD ratios in the medication, as well as the forms of cancer that Sativex may be able to treat. Sativex is a whopping $145 per vial. Whilst should you purchase full spectrum organic cannabis oil elsewhere, the actual cost for the equivalent amount of THC and CBD would be less than $20. With proven results for more than 2 decades, this oil can be purchased here from The Healing Oracle team. Please email us your request an order form or you may have a source of your own. Nobody should be paying more than 20usd per ml with orders over 30ml. What Does This Mean for Cancer Research? On the positive side, the patent finally recognises the value of cannabis for cancer treatments, not just as a way to counteract the effects of chemotherapy and radiation, but as an effective treatment itself. Cannabis’s efficacy for killing cancer cells must now be recognised on a federal level. It also allows for more options for cancer patients in choosing their treatments. It’s a potentially exciting time for cannabis research! Look out for more patents, more clinical trials, and even more cannabis-based medications hitting the market. Keep pushing for access to whole plant medicine. Healthcare should be provided by those who are concerned about Health and Improving it for their Patients. Anyone who CARED would Not attempt to own a PLANT Or the ratios that can Save Lives.